The big news is that Shakira Westdorp returns to the race board while her and Terrene are carrying heavy weights on their shoulders. Shak will compete in the surfing and racing x2 while Terrene will fly the flag in the surfing and racing x3. Despite big names such as The Paddle League World Champion Lincoln Dews and internationals James Casey and Matt Nottage withdrawing (taking a well-earned post-season break from the logistical nightmare that is China — there’s also the fact the Worlds are timed right within Western Australia’s famous “Downwind Week”), not to mention the long-term injury of Angie Jackson, the Aussies still have a solid lineup and will be in strong contention for a sixth teams title. Here’s some light analysis of the squad. Terrene needs no introduction to the racing community and will be a strong pillar as Team Australia looks to defend against the all-star women’s line-ups of France (Olivia/Amandine/Melanie) and USA (Fiona/Seychelle/Candice/Jade). But Shak could prove to be the wildcard in a year that Australia will be seriously tested by the Frenchies and Americans. 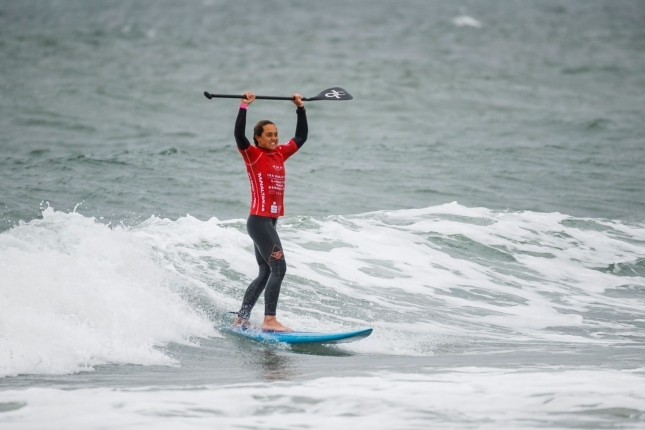 Arguably the most under-rated talent in the world of racing, the 2009 Battle of the Paddle champion will look to repeat her heroics that handed Australia victory in 2014 (Nicaragua) when she medaled in the surfing (bronze), marathon (silver) and beach race (gold) all in the space of a few days. In honour of her contribution that year, Shak was unceremoniously dropped from the team 12 months later (the national governing body in Australia has long tried but often struggled to provide real guidance for the sport). Shak returned to the team in 2016 and 2017 to collect two more golds as Surfing Australia started getting its act together, and this year independent team coach (and “12 Towers” pioneer) Troy Pease has encouraged Shak to give racing another shot. 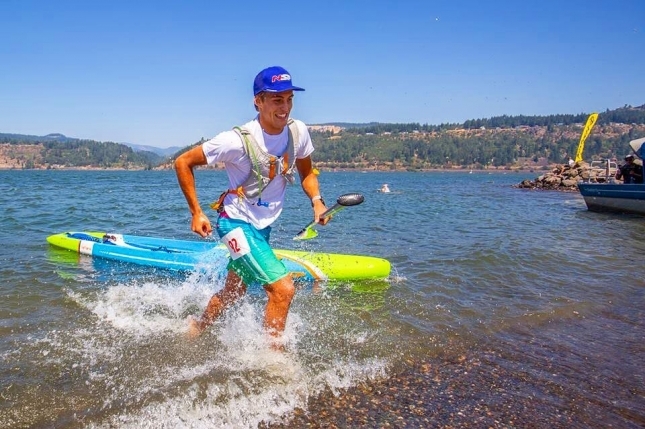 The laid-back champion has good company: She’ll be joined by the 2018 Molokai hero Terrene and prone superstar Jordie Mercer–the winningest athlete in ISA history and a recent cross-over into the world of SUP racing (though Jordie will be prone-only in China). The women’s squad is rounded out by newcomer Abbie Walkerdene from the Gold Coast–Abbie will compete in the newly-created “Junior Beach Race,” an event that, in a year where ISA has struggled in its quest for Olympic SUP, is a fantastic addition to the Worlds format (now we just need a “Masters” division). So are the Aussies still unbeatable? Australia has won five out of six teams titles at the ISA Worlds. The only speed-bump came from the USA in Mexico (2015). But over the past two years, it’s been the French that have given the Aussies by far the biggest run for their money. Indeed, France would have claimed both Fiji (2016) and Denmark (2017) if not for the “Great Australian Firewall” (aka prone paddlers). Once again I expect it’ll be a tight tussle between the Aussies and the French. I’d give the Frenchies slight favouritism at this point (Team USA will probably finish third), but either way it’s going to be close. Australia is a famously close-knit team, and Shak has always been the spiritual leader. Her presence in both the surfing and racing will give the squad some much-needed momentum in their battle against the far-better-funded French. If Shak and Terrene don’t get too tired from their busy schedules they’ll be solid medal chances in every event. 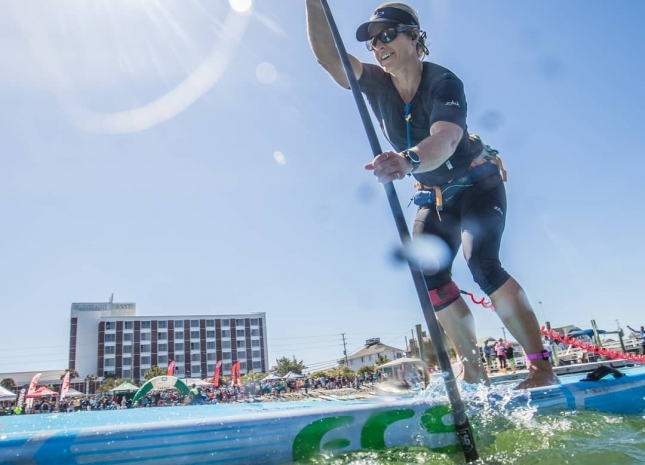 But it won’t be easy: the women’s field is particularly strong this year with six other top 10 Paddle League athletes competing in addition to Terrene: Olivia Piana, Amandine Chazot, Fiona Wylde, Seychelle, Candice Appleby and also (I think) Yuka Sato. The Aussie men are led by powerhouse Michael Booth, who may have narrowly missed out on The Paddle League World Title but will still be considered a gold medal favourite in the marathon (which he won in 2016 but bombed out of in 2017). Boothy will battle defending champ Bruno Hasulyo and another Starboard team mate in Connor Baxter. Throw in Titouan Puyo and you’ve instantly got four of the world’s best fighting for gold. Ty Judson joins the team after an up-and-down season that saw him show glimpses of brilliance but also fight for consistency. If he’s firing on race day, Ty could medal in the marathon alongside Boothy. Ty is also repping Team Oz in the beach race and surfing. While I haven’t seen Abbie Walkerdene race too much (she’s the younger sister of international athlete Chloe Walkerdene), I do know that Western Australian Sam McCullough will be a medal favourite in the junior men’s beach race (though France is sending world number five Noic Garioud for that race, so look out). Once again the Aussie prone duo – Jordie Mercer and Lachie Lansdown – will be expected to max out the points in the two prone races and help defend against the French invasion. Top-rated surfer Harry Maskell has been called up to compete in the beach race alongside Ty, which, along with Ty doubling up in the surfing and the heavy workloads of Shak and Terrene, highlights the relative lack of depth in the Aussie squad this year. This begs the question why Surfing Australia can’t better fund a team that’s won so many championship titles for its national federation. In a piece of trivia that may surprise you, Team Australia athletes have been told to pay their own way to the Worlds every single year despite Surfing Oz enjoying a multi-million dollar government-funded operating budget. Surfing Australia’s budget-conscious approach stands in stark contrast to its key rival, Surfing France, which covers all expenses for its SUP athletes while also sending a team of coaches and trainers (not to mention hosting a far better structure of national qualifying events–the Frenchies really have their act together). So if Team France finally beats the Aussies this year, it won’t only be because of what happened on the water. – and, as mentioned, the newly-created Junior Beach Race, which could prove to be the real highlight of this year’s ISA Worlds. Team match-ups and current world rankings for the top three contenders in China (there are plenty of other individual medal contenders from other countries, but I see these three nations as the clear favourites for the overall teams title).